Marjory Stoneman Douglas High School students returned to school today, April 2nd, after the March 24th March for Our Lives protest and a week of Spring Break. And they’ve returned to their classrooms with one major change: heightened school security, including mandatory clear backpacks. In case you missed it, “clear backpacks” are exactly what they sound like: Transparent plastic book bags that are ostensibly supposed to help prevent active school shootings (nevermind the fact that the active shooter who murdered 17 of their classmates on February 14th wasn’t a current Parkland student anyway). The students have also been issued new ID badges that they must wear at all times. 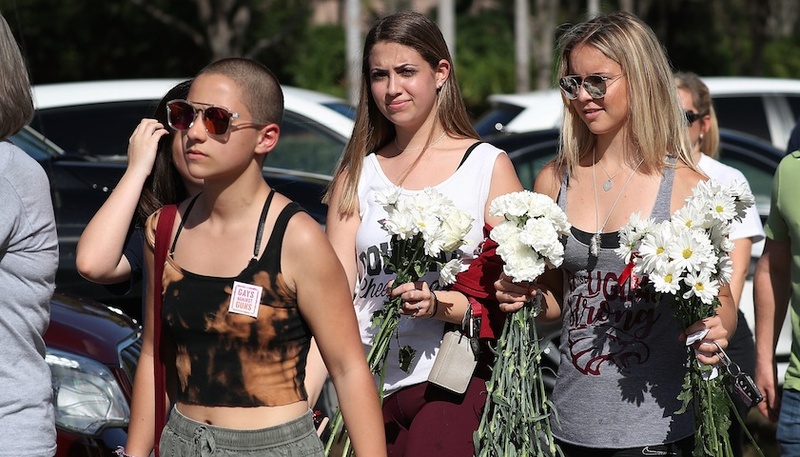 But — as usual — the Parkland survivors are taking matters into their own hands. Many are tweeting photos of their new clear backpacks, and some are even tagging Marco Rubio to shine a light on the fact that the NRA-backed senator has yet to support any substantive changes to common sense gun laws (and while yes, he has backed raising the legal age of purchase to 21 years old, many argue that the change will do little to stop mass shootings in our schools and public gathering spaces). We’re continually in awe of the Parkland survivors, and we share their outrage over the clear backpack “solution” (and yes, “solution” is in quotes to indicate that it is absolutely not a solution, just in case there was any confusion). Are you listening, Florida legislators? We hope the state of Florida — and the country at large — does better for our youth in the months and years to come.